Is this twin turbo available for rental too? Fall is here but that doesn't mean the end of opportunities to enjoy our Porsches. While driving events taper off, social outings will continue. Check out what's coming up, including a Porsche car show during Cedarburg's Octoberfest on Oct. 12. Bring your car to be part of it. We also have the initial announcement of our holiday party brought to you by our Social Committee. We're trying something new this year....the party will be delayed until after the year-end holidays. We will dine together in the casual atmosphere of the Fox & Hounds on Jan. 11. Mark the date and be sure to join us. You will find the details below. It's the time of the year for interested candidates to step forward and run for election to the region's board of directors. If you are interested in serving as a board member to help guide the future of the Milwaukee Region, please complete the nomination form. If you know of a member who would make a good candidate, ask him or her to consider running for the board. More details can be found here. Oct. 3 - Board meeting. Starts at 6:30 p.m. and is generally concluded in an hour. Stop in. All are welcome. We meet at the Milwaukee Yacht Club on N. Lincoln Memorial Drive along Milwaukee's lakefront. Oct. 5 -6 - DE, Chicago Region. At Blackhawk. Details here. Oct. 6 - Final Cars and Coffee of the season. In Lake Mills. Hosted by 2 Shores International. 7 a.m. to 10 a.m.
Oct. 18 - Drive for Babies. Track time at Road America while you raise money for charity. Register by Oct. 11. Details here. Oct. 19 - Coffee Travelers. Will meet at Black Canyon Coffee, 300 Summit Ave. Wales (about a 1/2 mile east of 83 on Hwy 18 by Culvers). 9 a.m. This is an informal gathering of people who drive Porsches, talk about Porsches, look at Porsches...well you get the idea. Spend an hour or less with us. It's a great way to start the weekend. Oct. 19 - Dyno Day...Fox Valley region extends an invitation to Milwaukee Region members. Details here. Oct. 19 - 20 - DE at Putnam Park. Details here. Oct. 24 - 27 - PCA's Escape. Registration is now open for this mini-Parade-like experience. Jan. 11, 2014 - Holiday Party. Save the date for the region's annual holiday party. We will dine in the new year at Fox and Hounds in Hubertus, Wis. You must RSVP by Dec. 20. More details here. May 16 - 18, 2014 - Spring driving tour in Northern Wisconsin. Details here. These members are observing a membership anniversary in October. Thanks to all members who renew their membership on time and remain part of our thriving region. Do you have questions about your membership record? You can log in to www.pca.org and review your record to make sure the email address is correct as well as the year and model of your car. Contact membership chair Donna Daufenbach,<nebioblue99@gmail.com> if you need assistance with your membership record. The following members joined PCA in September or transferred to our region in September. 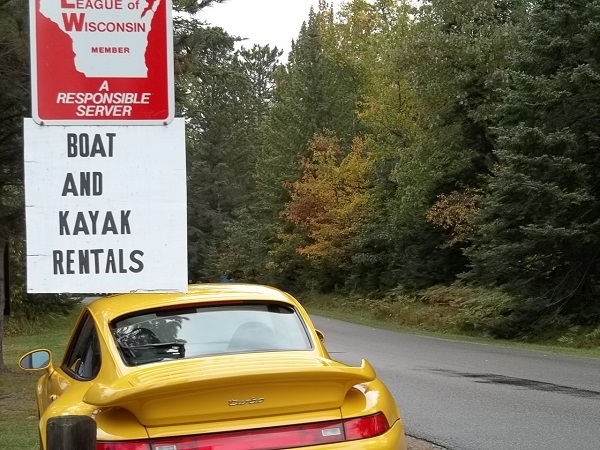 The region board makes it a point to reach out to new and existing members to publish a brief bio of the member and his or her interest in Porsches. The invitation is extended to extended to all existing members as well. If you are interested in having us write your bio and publish it, all you have to do is contact the newsletter editor. Send an email to beverly.jurkowski@sbcglobal.net. The Milwaukee Region welcomed Mathieu Doucet in August. He drives a black 2011 Boxster S. “It had less than 10K miles when I bought it in early August 2013,” he said. He found this car in the suburbs of Chicago. “I always liked Porsches growing up, but really got the bug after trying a friend's 1997 911 Carrera. I had been looking on and off online without success and then gave up for some time,” he said. “Then I decided to look into it some more and there it was on autotrader.com. I called the dealership twice, then went in for a test drive. It wasn't too long after that that I was signing the paperwork,” he said. It is his first Porsche and “hopefully not my last.” Mathieu is a healthcare actuary who works for the Milwaukee office of a national consulting firm. He said he is mostly interested in social events and maybe some tech sessions. Ron Starkey also motored into the region in August. "After a long absence from the Porsche Club I am finally, finally, finally the proud owner of another Porsche,” he said. “I was formerly in the Chicago Region in the 1980s driving a modified 1976 914 2-liter. (I'd love to know where that car is today.) But, as it goes, kids and life in general created greater demands. “When I felt like I was ready again, I began a long search for a late 80s 911. One day I became frustrated with the search and began looking at Caymans, never dreaming that I could afford one. 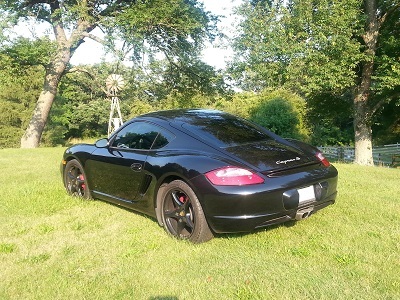 That night I found a black on black 2006 Cayman S that really caught my eye. It was at a Chevy dealer of all places. The ad described the car as an automatic and I stopped looking at it. New posts in our online classifieds include winter tires and wheels for a 911, wheels for a Cayenne/Touareg and Kurt is looking to rent some equipment so he can work on his 911 engine. Check out classifieds here. Region and board member Gregg Eisenhardt recently completed the two-day Porsche-sponsored driving school. Check out what that experience is like here. Coffee Travelers searched and searched...ending up in Lake Geneva. Check out the story and photos here about the 14 Porsches and the people who participated in the tour in September. Cars on the Green -- a super-sized Cars and Coffee in Lake Mills. Check out Donna Daufenbach's photos. The Frankfurt Auto Show kicks off the season for major auto shows worldwide. Porsche got plenty of attention at this year's show in its native country. 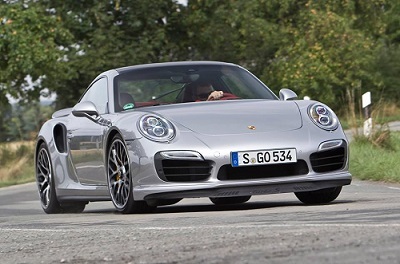 50 years of the 911...read what one media outlet had to say here. 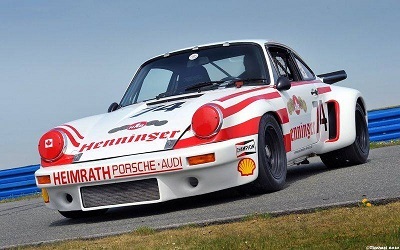 The 1975 911 3.0 RSR Henninger. 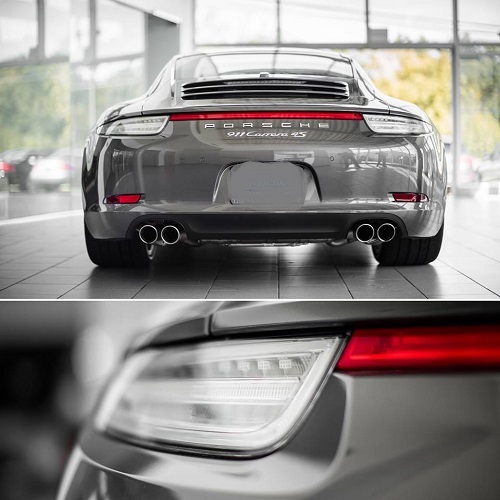 The clear tail-light option on the 2014 991 C4 S. Like it?